It was a strange coincidence. The World Economic Forum Annual Meeting in Davos-Klosters, Switzerland, took place the same week as the inauguration of President Donald Trump. In preparation for the meeting, Oxfam always publishes a report on the state of world poverty. Oxfam is an international confederation of 19 charitable organizations working together with partners in 90 countries for the alleviation of global poverty. According to Oxfam’s January 15, 2017, report, eight men own the same amount of wealth as the 3.6 billion people who make up the poorest half of humanity. Bill Gates, the founder of Microsoft, leads the way with a net worth of $75 billion. At the same time, according to CBS News, seven of President Trump’s cabinet nominations are worth a combined $11 billion, admittedly much more modest than the eight richest men but wealthier than any other cabinet in America history. The Oxfam statistics take my breath away. The richest people are accumulating wealth so quickly that the world could have its first trillionaire in just 25 years. Imagine spending one million dollars every day for 2,738 years. That’s a trillion dollars. The gross inequity of wealth affects people the world over. In the US, 1 percent of the people control 40 percent of the wealth. Between 1988 and 2011, the incomes of the poorest 10 percent of people in the world increased by just $65 per person, while the incomes of the richest 1 percent grew by $11,800 per person: 182 times as much. Women are often relegated to low-paying jobs, experience discrimination and are usually at the bottom of the pile. If current trends continue, it will take 170 years for women to be paid the same as men. Oxfam interviewed women in a garment factory in Vietnam who work twelve hours a day, six days a week. They earn $1 an hour producing clothing for some of the biggest fashion brands whose CEOs are among the wealthiest in the world. Poor countries lose at least $100 billion every year through corporate tax dodging by the rich. This money could provide an education for the 124 million children who aren’t in school and fund preventive health care that could save the lives of six million children every year. Donald Trump is now our 45th President of the United States. The well-being of our country, as well as the entire world, is invested in his leadership. As I listened to President Trump’s inaugural speech on Friday, I was convinced more than ever that we are all in this together. Unless you and I also take up the mantle of leadership by committing ourselves to creating a world where every person’s voice can be heard and can reach their full potential, we cannot change the world. People of faith are the conscience of our country. The United Methodist Church has a word to say to the United States, for we take our marching orders from the words and witness of Jesus and express them in our 2016 Book of Discipline. What can people of faith do to be the conscience of the state? We must encourage our government to eliminate the loopholes that allow the very wealthy to get away with paying very little taxes. We need to advocate for raising the minimum wage so that working families make a living wage. We need to resist discrimination of any kind and insist on a social safety net that is available for everyone. We must demand affordable and quality health care and education for all people. We can advocate through letters, phone calls, and our presence. A half million people participated in the Women’s March on Washington this past Saturday as well as millions in Sister marches around the world. 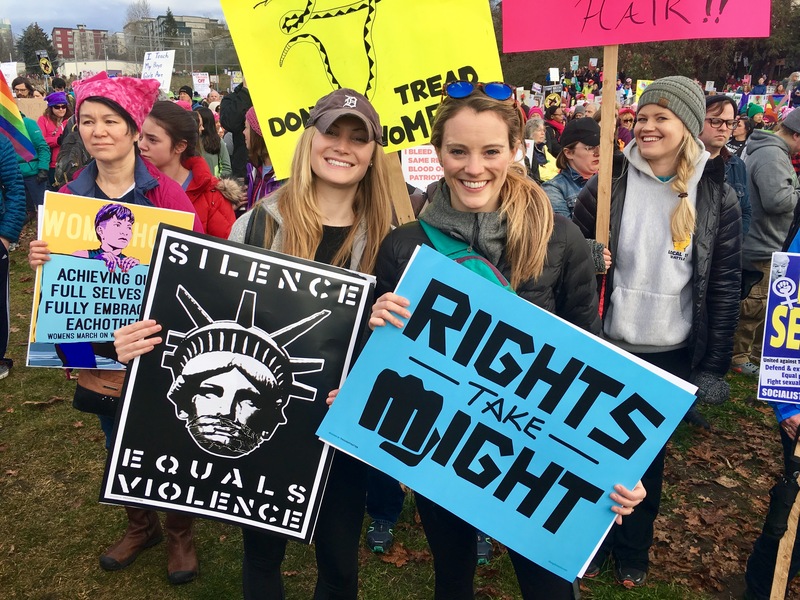 The protesters were the conscience of the state, raising awareness of women’s rights and other civil rights that they hope will not be taken from them. In the Iowa Annual Conference, we have a Legislative Advocacy Team. The two houses of the Iowa legislature meet from January through April, during which members of the Advocacy Team are present every single day. For the past 30 years, United Methodists in Iowa have advocated for social issues that are addressed in our Social Principles and Book of Discipline. As official lobbyists, they have voice in the legislative subcommittees and can testify. On February 7, we are sponsoring a Legislative Advocacy Day in Des Moines where United Methodists from around Iowa can become informed and trained around issues that will be up for vote in the legislature as well as observe our state government in action. Our UM Advocacy Team is focusing this year on four priority issues: The Environment, Mental Health, Poverty, and Gun Violence. We are the conscience of the legislature. I understand President Trump’s sentiments, yet the church is called to be the conscience, guide, and critic of the state whenever we turn in on ourselves or fail to serve the very least in our midst. Our country was founded on ideals that include welcoming all to our shores, moving beyond our borders to seek justice around the world, and ensuring fullness of life for each person on our planet. The United States was never destined to be self-serving and isolationist. Rather, as John Wesley proclaimed that the whole world was his parish, so the entire world is our country’s concern as well. Dare we as United Methodists and all people of faith covenant to support President Trump and his administration by our prayers and encouragement as well as by serving as their conscience? Dare we share one heart, one home, and one glorious destiny with people around the world and with creation itself? Dare we work for the day when our nation and world will look like God’s reign, where the poor will go first with the eight richest men bringing up the rear, those earning minimum wage will sit at the places of honor as well as have their wages increased, and those who are rejected because of their skin color, immigration status, or sexual orientation/gender identity are welcomed with open arms? Dare we move from praying, “God, make our country great again; America first!” to “God, use us as your servants to make every corner of our world safe and whole again”? O God, lead us into the future with humility, grace, and hope. Amen. Never has there been a time when our country needs the conscience of the church. Would that all states were following your lead. Thank you for adding clarity to the chaos of the White House. Please continue to help us to understand what we can do both locally and nationally. This is a time for action. You made me feel better today, Laurie. After being in business for over 40 years I’m just coming to the realization that politics shapes our world. Our political leaders over the past 40 years have been influenced by major corporations. These big corporations and the wealthy pay to elect the politicians that favor their bias and expect quid pro quo. In the paper I published on my website I have a section dedicated politics and the influence of major corporations versus smaller businesses. Larger corporations continue to dominate to the detriment of all. You don’t see a 50 person business hiring thousands at $1/hour. 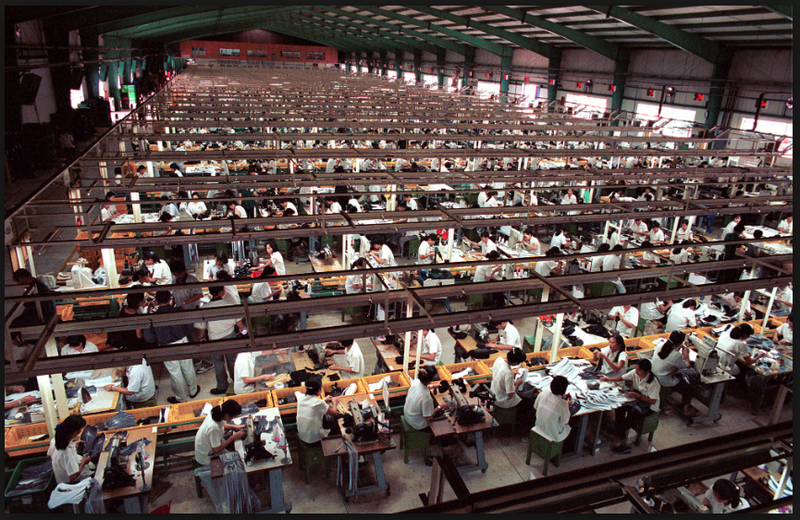 So the next time you pick up your IPhone think about Apple who pays 3% income tax on billions of dollars and hires >100,000 people at slave wages in China. I’m not sure about Donald Trump. One thing I am sure of, his 1st executive order made it illegal for any of his cabinet to later seek a position in business that interacts or can influence government. That’s a good start. Thank you Laurie! Wise words and needed calling to all. Huge challenge for everyone but one we must take it on with our brothers and sisters around the world. Thank you Laurie. God bless us all. I have been reading all your blogs and thank you for your thoughtful and inspirational writings. Today’s blog says exactly how I and many others think. We all need to do what we can to make this a better world. I was not a Trump supporter during the campaign, but he is now our President and deserves our prayers and support. I would also encourage everyone to attend the Legislative Advocacy Day on Feb. 7th to learn how to influence legislators. I have attended and was amazed how well the legislators that I talked with were open and welcoming to my comments. I will miss the Advocacy day this year for a medical appointment, but wish you all well who are able to attend. God bless Bishop Laurie and all of you. Thank you for the powerful and thoughtful message. Now, as always, is the time for Christians to be the hands and feet of God. The Women’s March was NOT the conscience of our state. These are people openly advocating the murder of unborn children. Bishop, your political pandering is exactly what is wrong with this church. UMC is NOT the conscience of the legislative body if this is what you stand for. Unless you fully understand why a woman felt it necessary to undergo an abortion you have no right to call her a murderer. “There is such a thing as being too gracious. We think Joe is manipulating your compassion for his own benefit. This I find fits nicely into immigration issue we face. I apologize for using the Bishops own words. We the USA cannot afford be to as gracious as we once were there are a lot of people all over the world that would like to see the USA brought down to a third world country level. Look at what happened in 1993, 2001. We have in my opinion been to gracious and naïve to think business as usual. We still can be gracious and compassionate but aware that evil does exist and that we need new ways of finding evil and keeping it out. What we have witnessed the last few years is the people we are dealing do not listen to reason or scripture we have witnessed crimes against women children muslims Christians young old disabled etc. Don’t forget all the countries people that Radical Islam has hurt and killed. 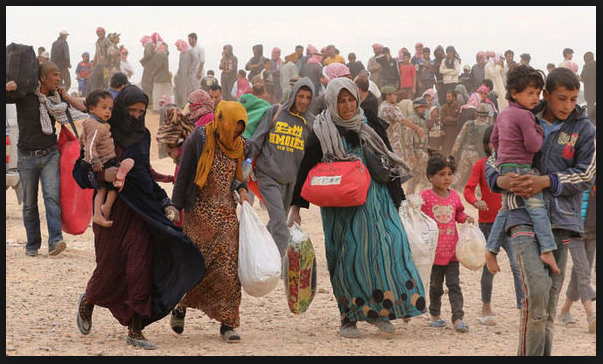 Is it such an inconvenience to find a right way to immigration. Really!